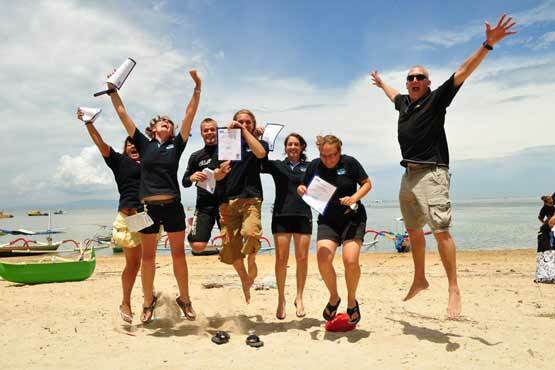 PADI Professional Diving – your lifestyle. All of us here at Blue Season Bali are here for a reason. The dive industry is full of opportunities to travel the world and work in the most incredible places, but we chose the island of Bali for specific reasons. 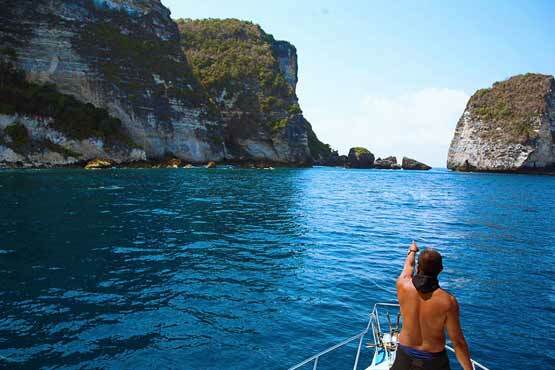 It has it all: amazing diving, a great lifestyle, beautiful landscapes and special people. The island offers world-class diving, with incredible biodiversity and healthy reef ecosystems that can't be found anywhere else in the world. Bali also offers opportunities for a social environment that is sometimes lacking in more remote areas. It has quality restaurants of all types, grocery stores full of familiar products, and events happening year round. We get inquiries every day from people who are not content with their work placement or are looking for a way to escape the current employment climate for a few months/years and live somewhere more exciting. Bali offers all of that! For many of us this has brought us to the other side of the world. As cliche as it may sound, diving does change people's lives. From Open Water students taking their first breaths underwater, to an Instructor candidate who certifies their first students; we all help people change their lives and overcome fears they have had since childhood. All of us work in the dive industry because we have an incredible passion for diving, and we want to share that passion with others. As a dive professional, the opportunites are limitless. Whether you enjoy ice diving, cave diving, or want to live in Iceland, Mexico, Fiji or Indonesia- somewhere in the world there is a diving job waiting for you. From liveaboard opportunites to conservation programs, the doors open wide when you become a professional diver. Our Pro Development team is here to help you land your dream job and your ideal lifestyle. We will not only train you to become a great dive professional, we will also share our professional network, our knowledge and our experience togive you the best chance to succeed in the dive industry. So get in touch with us today and turn around your life and your career! What's Next? Check out the nightlife available here in Bali.